Stephen Curry of the Golden State Warriors goes up for a one-handed shot against the Minnesota Timberwolves at Target Center in Minneapolis, Minnesota. 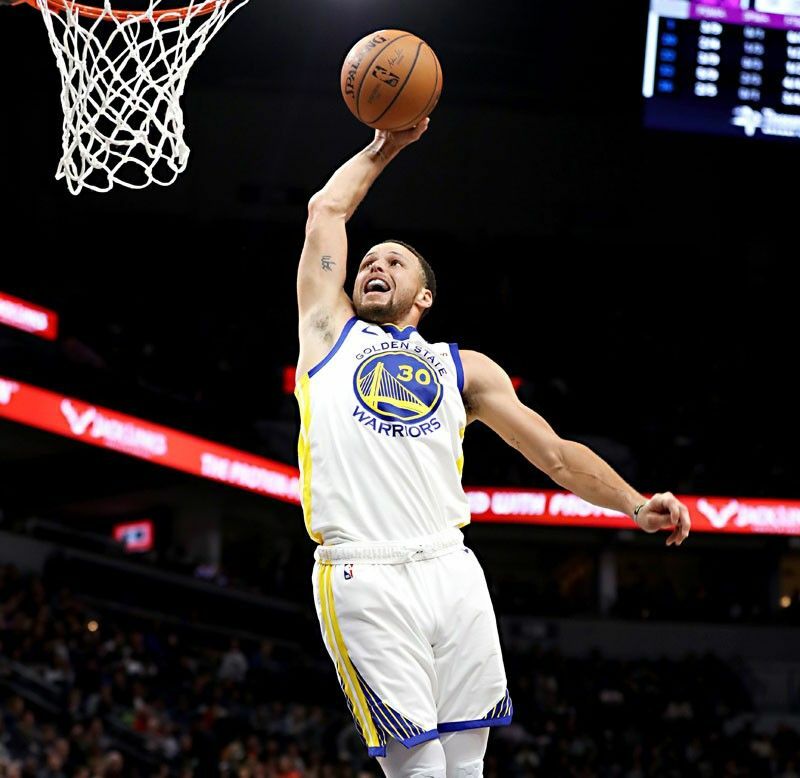 MINNEAPOLIS – Stephen Curry scored 22 of his 36 points in the third quarter and Klay Thompson pitched in with 28 points as Golden State beat fading Minnesota 117-107 and regained first place in the Western Conference. In Sacramento, D’Angelo Russell scored 27 of his career-high 44 points in the fourth quarter, Rondae Hollis-Jefferson made a layup with eight-tenths of a second remaining, and the Brooklyn Nets rallied from 28 points down in the second half to beat the Sacramento Kings 123-121 to snap a four-game losing streak. In other NBA games, Danilo Gallinari scored 24 points, Montrezl Harrell had 20 points and 12 rebounds, and the Los Angeles Clippers prevented Indiana from clinching a playoff berth with a 114-109 victory. In Milwaukee, Khris Middleton scored 30 points and Brook Lopez added 28 as Milwaukee beat the Los Angeles Lakers 115-101. In Atlanta, James Harden had 31 points and 10 assists, Clint Capela added 26 points and 11 rebounds and Houston won its third straight game 121-105. In Charlotte, Ben Simmons scored 28 points, JJ Redick had 27 points, 10 rebounds and eight assists and Philadelphia held on to beat Charlotte 118-114.